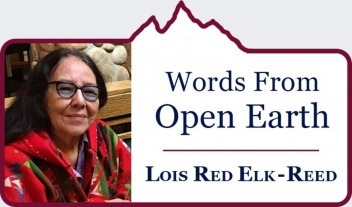 In the ancient elder tradition, Lois Red Elk tells stories of her grandmother. Her poems lead us to a deeper reflection on the missing and departed women in Indian Country. Harbingers: they flow forward and backward across time for Lois Red Elk. Seasons connect her to nature and nature to the pathways of people and non people, no beings asserting greater authority over another. "With all the leaves drifting and all the birds heading south I'm thinking of my Grandmother and how she would prepare for fall (autumn) stories," Red Elk writes in a warm note to Mountain Journal readers. "I knew the ritual, there was always a place for me to sit on a feather tick pad near her beading table. She would air it out during the late summer by hanging it on the clothes line then bring it into the house right about this time." 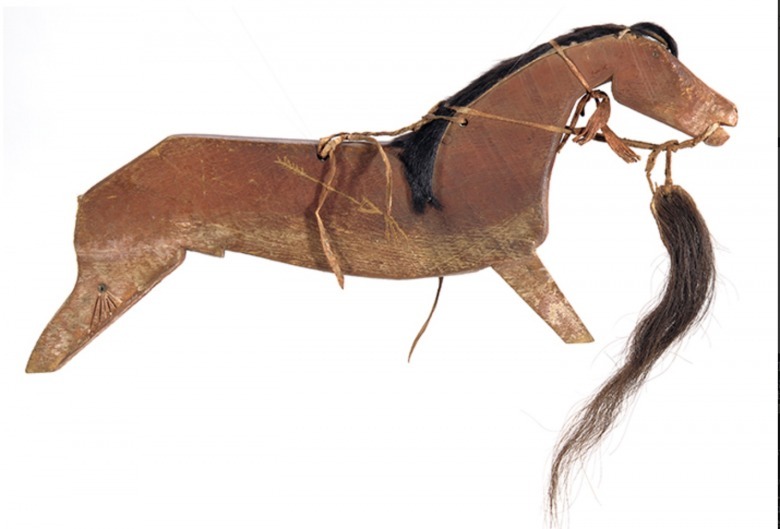 The personal Lakota name personalized for Red Elk's grandmother was "Brings Her Sorrel Horse." It is novel. "It is copyrighted so no one else has the right to use it," the poet says. "I have to note this because there is so much appropriation these days." That itself is an intriguing phenomenon—cultural appropriation—which perhaps Red Elk will explore at another time though for now she speaks to the authenticity of the mother of her parent. 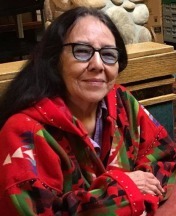 "One of the poems I'm sharing is about my Grandmother's name and how I prepare myself now days for her approach to my spiritual plane, her knowledge reminding me to share stories with the youth and other women. This poem is new," Red Elk says. The second poem, she notes, is for children who may be missing their elders. "They are given a doll with no face so they may project any image of love they want on the doll's face, like a loving grandmother or aunt or the mother that is gone on." vivid I will travel back to that time. allows entrance into my heart, my peace. unshod hooves lift, fly then kiss the soil. created in the likeness of you and me. a belt, hair ties, necklace braids of horse hair, straight, thick. about how to treat people. 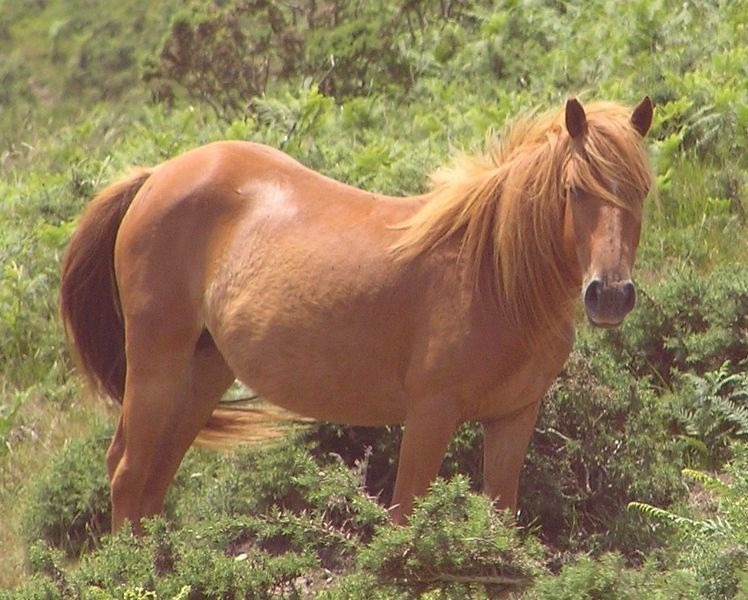 as she described the speed of lizards or the beauty of running horses. of praise about good hearts and good days. It is always what we wish for. This is what grandmother told us. and hear who we love, honor and remember. EDITOR'S NOTE: Poignant is Red Elk's allusion to "the doll without a face" and the irony of double meaning she subtly evokes. While here it is about young people casting their image of love onto a visage representing that of a departed grandparent, the imagery has had another powerful application. 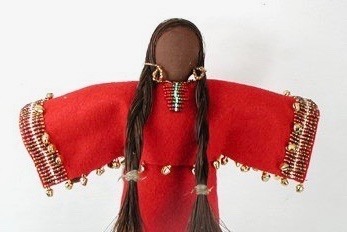 Doll without a face has, in Canada, been part of a campaign to remember indigenous women and girls who have been murdered or gone missing. In Montana, missing native women and the lack of serious investigations into their disappearance, has been called a modern atrocity and hastened action from members of Montana's Congressional Delegation. Annita Luchessi (Cheyenne), a doctoral student in Canada, launched the Missing and Murdered Indigenous Women Database in 2015. She estimates that between 1900 and today more than 20,000 indigenous women and men have gone missing on both sides of the U.S.-Canada border.